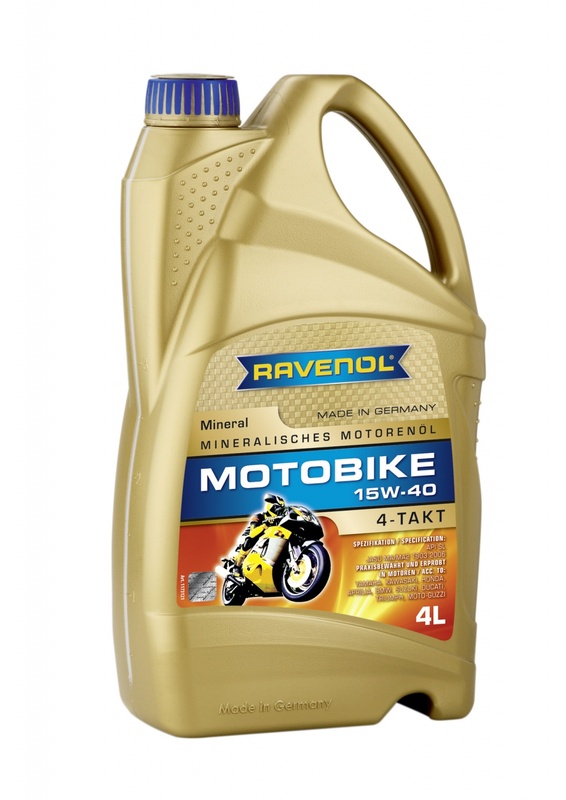 RAVENOL Motobike 4-T Mineral SAE 15W-40 is a mineral engine oil blended with carefully selected additives which was especially produced for 4-stroke motorbikes. It is suitable for high loads in motorbike engines with wet couplings and oil lubricated couplings. It produces an excellent lubricating film adhesive capacity and a very good shear stability, as well as an excellent cleaning power. The high aging resistance makes it ideal for use in bikes with wet clutches.